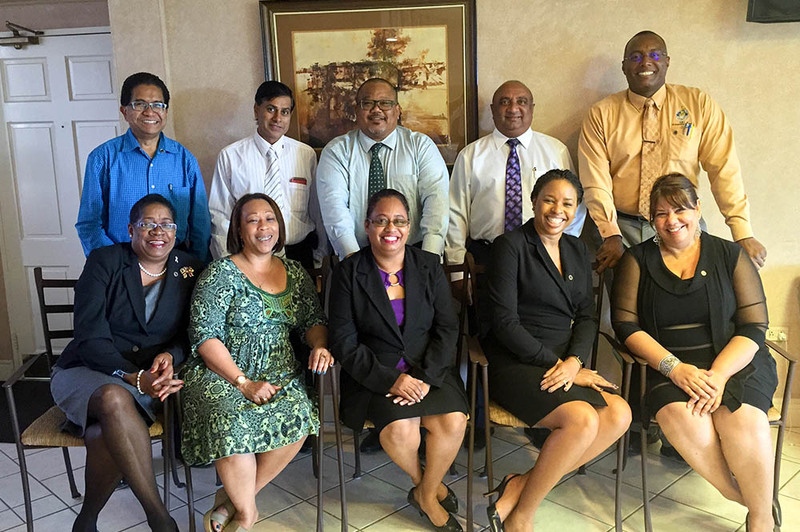 The 18th Annual General Meeting of Habitat for Humanity Trinidad and Tobago took place on October 12, 2017 at the Arthur Lok Jack Graduate School of Business. The following is the Chairman’s Speech, delivered by Derwin Howell. 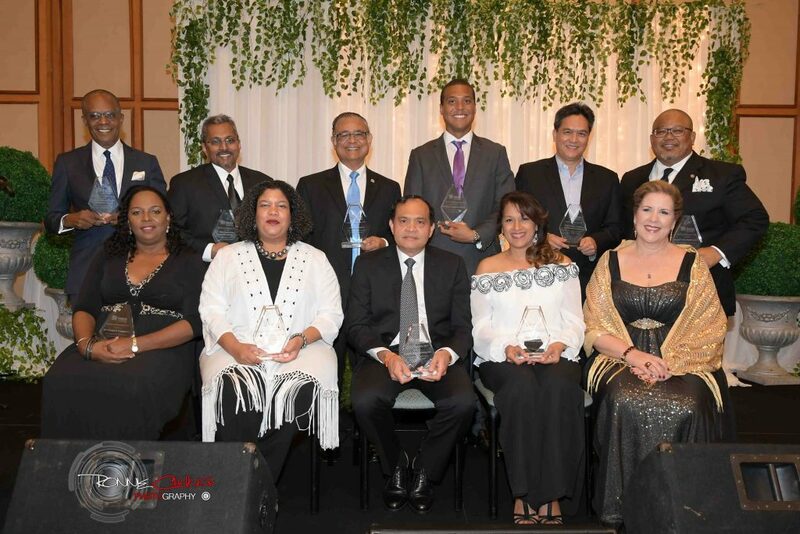 This year Habitat for Humanity Trinidad and Tobago celebrated its twentieth anniversary and getting there was no easy feat. This journey involved five (5) chairpersons, two (2) former Presidents of this great Republic, and several other hard working and distinguished men and women leading the charge to this point in our history. Over the years, we have accomplished a lot through the kindness of many generous donors, both individual and corporate. Our donor engagements were never merely a signed cheque or photo opportunity. Rather, we have had the distinct pleasure of donor contributions spanning cash, equipment, building materials and services ranging from professional expertise to manual labour on site. One early example was our former Patron, Sir Ellis Clarke, inviting his personal friends to share a glass of wine at his home, for the express purpose of convincing them to join him in serving the Habitat for Humanity mission. On March 14th, 2017, we raised the symbolic flag of twenty (20) years of service, with many accomplishments under our belt, including the achievement of our 500th housing solution. We celebrated the incorporation of Tobago into our mission and are proud to say that we are currently serving our 17th Tobagonian family with direct housing support services. As well, 120 persons have accessed our training and we have recently assisted the Moriah Village Council in the refurbishment of its community centre. At this our 18th Annual General Meeting in our 20th year of operation, we now herald an even great opportunity for persons to become members of Habitat for Humanity through a membership drive soon to be launched. This will extend the opportunity to the wider public to join heart and minds to eliminate poverty housing and homelessness in Trinidad and Tobago. We implore you to spread the word on the work that we are doing, brick by brick, house by house, community by community and partner by partner, to provide the opportunity of hope where people are living in hopelessness. Help us to promote the cause of defending the defenceless and homeless. Support us to ensure our societies in this twin-island republic reduce crime by ensuring more decent neighbourhoods, working and dwelling in harmony and helping each other, as we have done over the last twenty (20) years. As we begin our next twenty (20) years, we must heighten our advocacy for national policies to secure land and housing opportunities for the less fortunate. Not by giving away but by instilling that through hard work (sweat equity) and repayment of an interest-free mortgage, the opportunity of home ownership is possible. 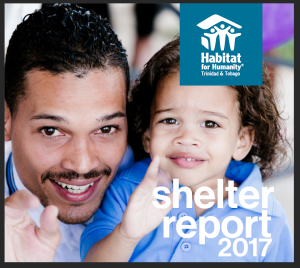 It took us twenty (20) years of fund- and friend-raising to meet the 500th housing solution mark, but it is our desire to build a legacy where the next twenty (20) years sees 5,000 plus persons being served with access to shelter opportunities. Our soon to be launched membership drive is designed to expand our reach and impact to help us achieve this goal. Ladies and gentlemen, as the current serving board, we stand in solidarity with you in this worthy cause. Ours remain the task to ensure good governance and accountability, to increase our shelter solutions and, despite the prevailing economic situation, to ensure that we remain sustainable and resilient. God is on our side and so are you. It gives me the greatest pleasure on behalf of the Board of Directors, the Management and Staff and all the beneficiaries of our services, to express our gratitude for your support over the years and to salute you for your partnership. The Board of Directors: br, l-r Geoffrey Abdulah, Prem Persad Maharaj, Derwin Howell (Chairman), Winston Siriram, Stephan Sheppard. fr, l-r Barbara Lodge-Johnson, Nichola Armstrong, Jennifer Massiah (National Director), Trudie Telseford-Pierre, Karen Johnstone.